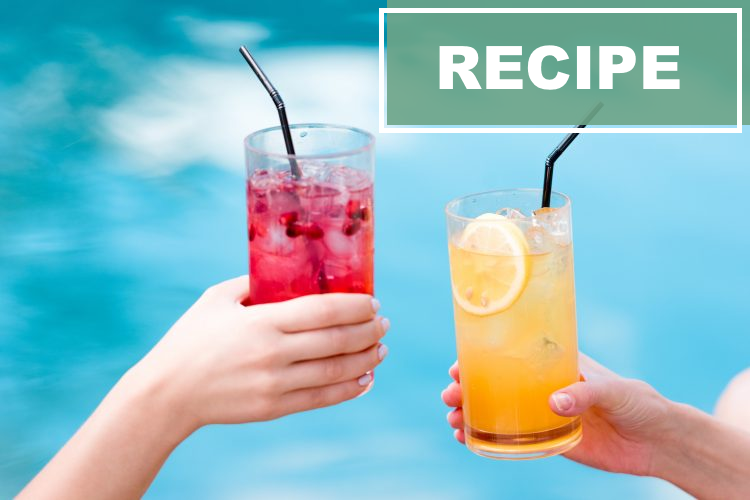 Cool down this summer with these refreshing DIY drinks! 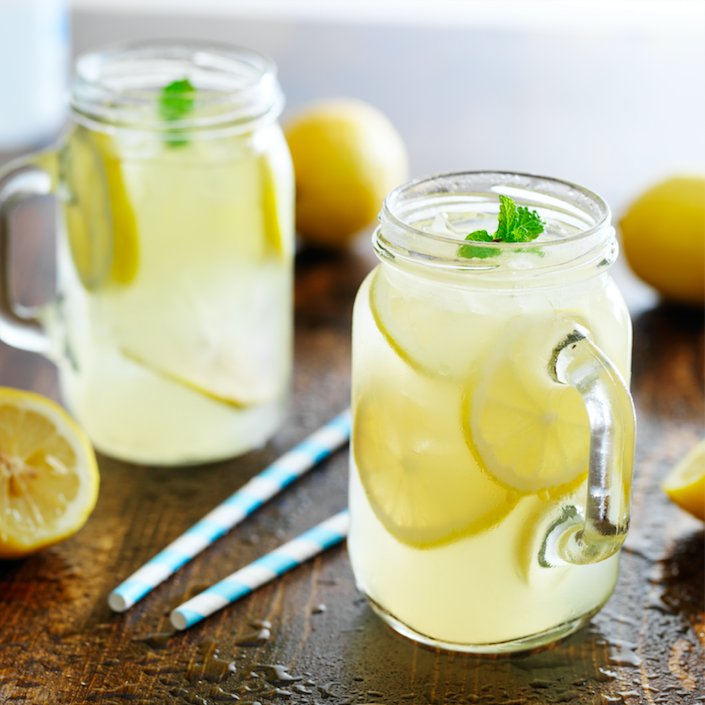 Cool down with these refreshing DIY drinks! Summer is upon us, which brought us the idea to list our top favourite vegan drinks to cool down with. While it is so easy to buy a bottle of soda at the store, it is way more fun (and more environmental friendly!) to make your own drinks this season. We sure are a fan! 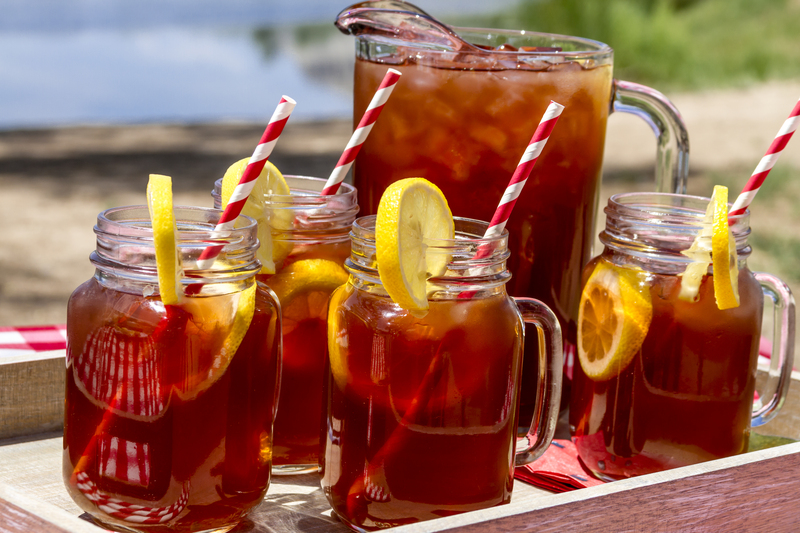 Do you often find yourself getting a bottle of iced tea on the go? Not anymore, because with this easy recipe you will make enough to last the whole week! Take 5-7 grams of your favourite tea (or use two teabags) per liter of water, and let it sit overnight for the best result. Add some sugar or agave syrup for additional sweetness! Are you in more of a hurry? Take a big can, and fill it 1/3 with boiling water. Add your teabags and let it sit for 3 minutes. Fill the rest of the can up with cold water and ice cubes. Again, you can add agave syrup or sugar for additional sweetness. A nice touch is also some sliced fruits or minty herbs! Craving a little bit more caffeine? Make your own iced latte! You don’t need any barista skills for this. 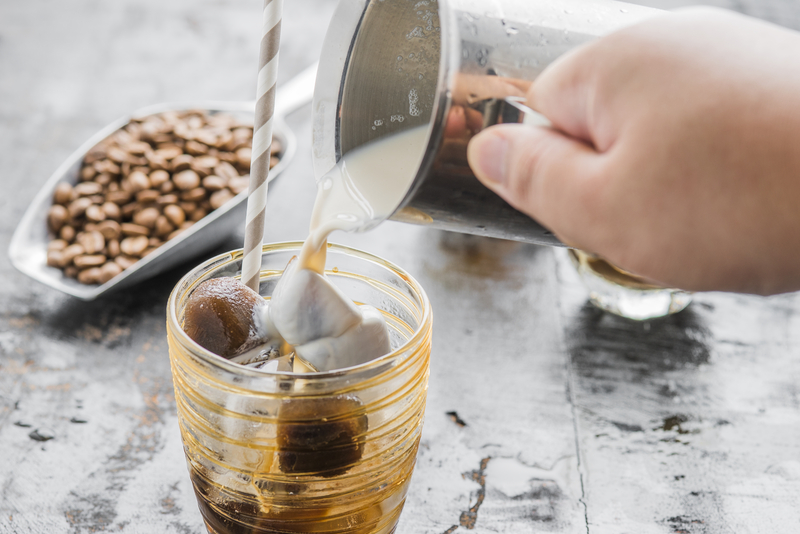 All you need to do is make your espresso (either with a percolator or an automatic coffee machine), add ice cubes and pour your favourite plant-based milk. We really recommend coconut milk for a nice, refreshing touch. Oatmilk is a close second! Which is your favourite? Add one cup of sugar to one cup of water in a pan, and let it boil on a low heat. Once all the sugar is dissolved, add one cup of lemon juice (4-6 lemons). This is your syrup! Take the syrup off the heat and put it in a big jug. Add about 3-4 cups of sparkling water and let it cool in the fridge for at least 30 minutes. Add some fresh lemon slices and some mint for garnishing, et voila! Fruit water: just wat it says! Even less time to prepare? We’ve got you covered! Try “fruit water” – it is literally what it says it is. 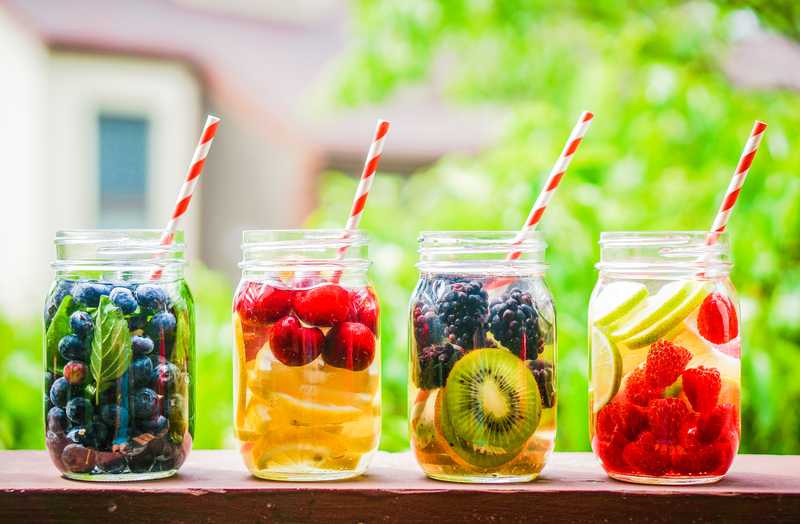 Add some fruits to some water, maybe let it sit for a couple of minutes, and enjoy your fruity water! Of course you can also try with sparkling water. Our favourite combinations would have to be lemon & raspberry or watermelon & lime. Can’t choose between a cup of coffee or a soda? Now you can have the best of both worlds! 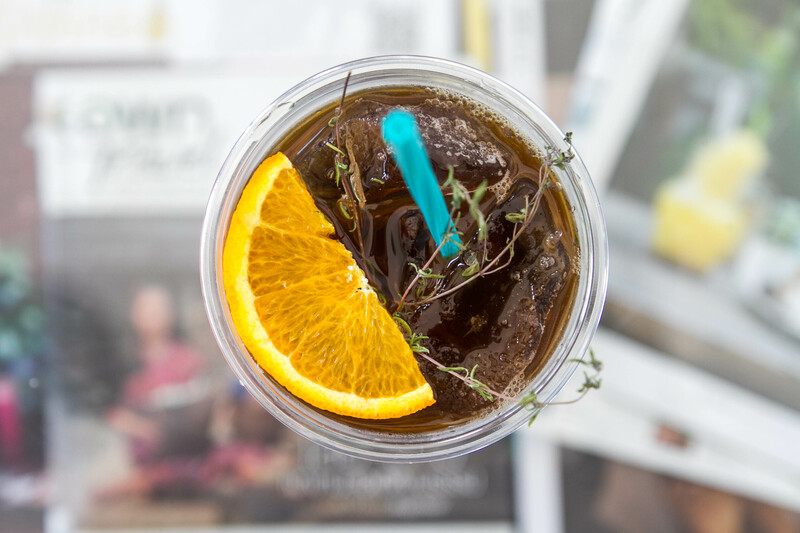 Try out an espresso-tonic, an amazing combination of sweet, savoury and bitterness on ice. Just make your espresso (in either a percolator or an automatic coffee machine), and pour it over a cup of iced tonic. Add a slice of orange or lemon to top it off! Want to see more summer tips from us? Check out some vegan BBQ recipes or our top 5 vegan-friendly places to visit!